Early May. Blue sky. New green grass. The golden light of spring’s adolescent sun. Red bricks. Pink feathers and pipe cleaners. A yellow giraffe, four stories tall. A gang of mischief making cyan-colored bunnies. Charcoal grey asphalt reaching out in 5 directions like an open hand. Daniel Zott, hair like Chief Pontiac in a Kanye West video and donning a royal blue snuggle suit, looks as cartoonish as Carl Oxley’s giraffe- and just as welcoming to Woodbridge. His music is post-urban, post indie and post-modern, all with a classical finish. He mixes hip-hop beats with his ballads, and madrigal magical melodies onto top 40 rap renditions. 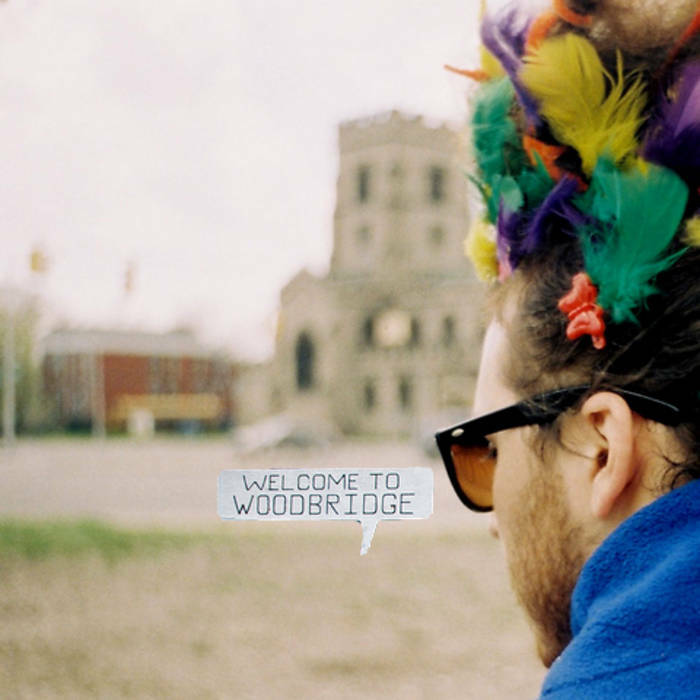 Woodbridge is as enigmatically eclectic as the musician - home to forty year long residents, community activists, and the cult of fixed gear bicycle, beat obsessed, skinny jeaned, funk 45 collecting Detroit hipsters. Oxley’s murals are manifestation of the joy that emanates from the neighborhood’s diversity. Zott, as always, is more loquacious in song than in conversation, and perched in a tree seeming ever-so-much like a natural fixture- I half expect him to murmur, “Whoooo are yoooou?”; as if he were a caterpillar and Woodbridge existed on the other side of Detroit’s looking glass. The film shoot almost becomes secondary to the beauty of the day. We picnic, lay in the sun, play with a red-coated puppy, and enjoy the music and the sound of the breeze. “Welcome to Woodbridge” says the giraffe, but it is not the giraffe exclusively that makes Woodbridge welcoming. It is not simply the springtime. It is not just the brilliant primary colors. It is not only the bunnies, nor the plumed singer in his blue snuggle suit. It is the combination of all these elements; it is the genius loci, the spirit of Woodbridge, that allows pluralities to feel at home, to belong, to be welcomed. It is the kind of place where you can wear a blue-snuggle suit and truly enjoy it.